The actual display update rate is shown below for observation times from 2 ms to 100 ms. When the measurement mode is Normal, the display update rate changes depending on the observation time and certain settings such as ones related to MATH functions. 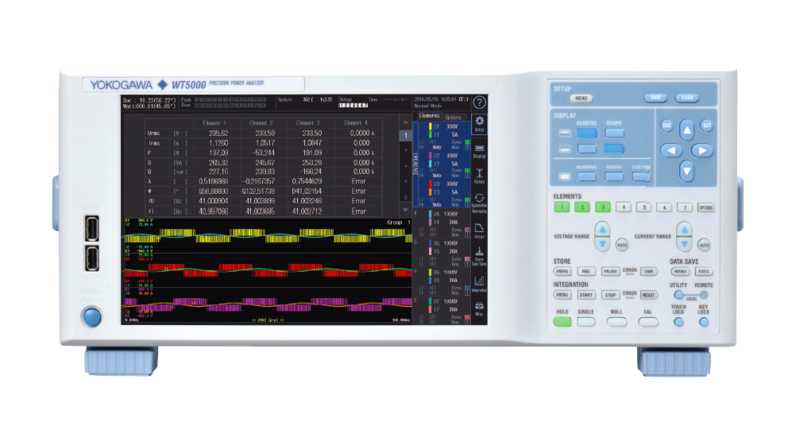 When in harmonic measurement mode, the display update rate changes depending on the entered record length, and the fundamental frequency of the PLL source. The PZ4000 samples signals to be measured at a high sampling rate. Because of this, it can capture waveforms of signals with deep fluctuations. Also, it reads sampled data into memory so it can compare numeric measurement data with acquired signal waveforms and analyze the signal's characteristics. However, unlike other power meters to date, the PZ4000 is not designed to perform continuous measurement at regular display update intervals.